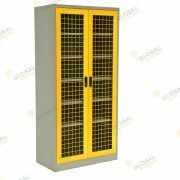 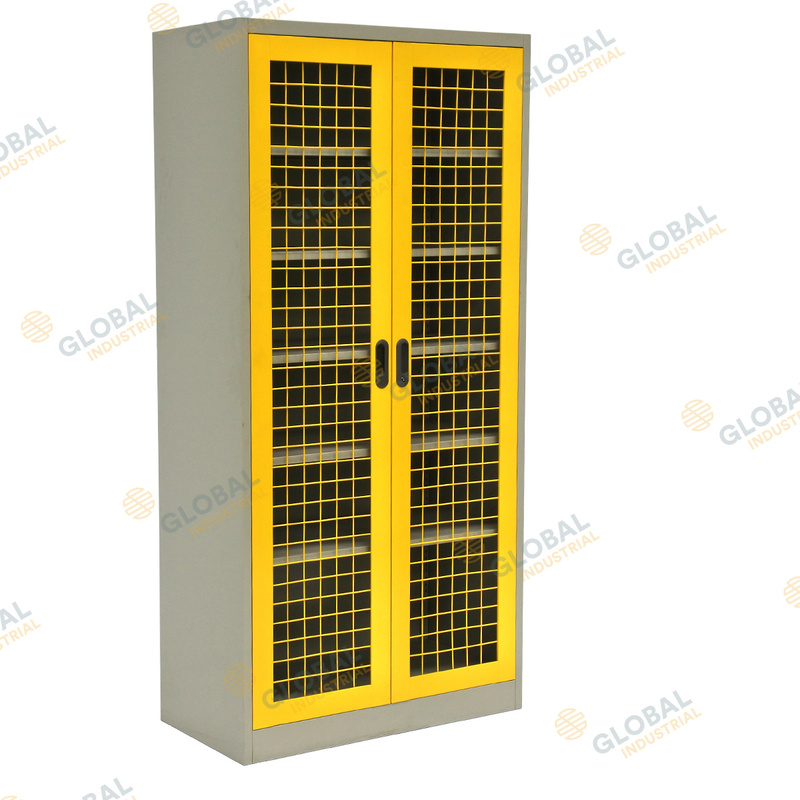 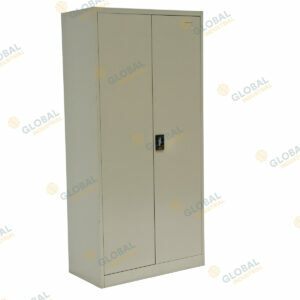 The Global mesh 2 door storage cabinet is a convenient lockable storage solution designed to allow easy viewing of product range in a secure environment. 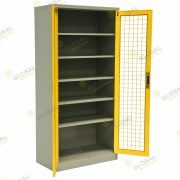 Often used to secure spray paint, each cabinet comes with 5 adjustable shelves giving you plenty of flexibility for your storage needs and each level can hold up to a capacity of 50kgUDL. 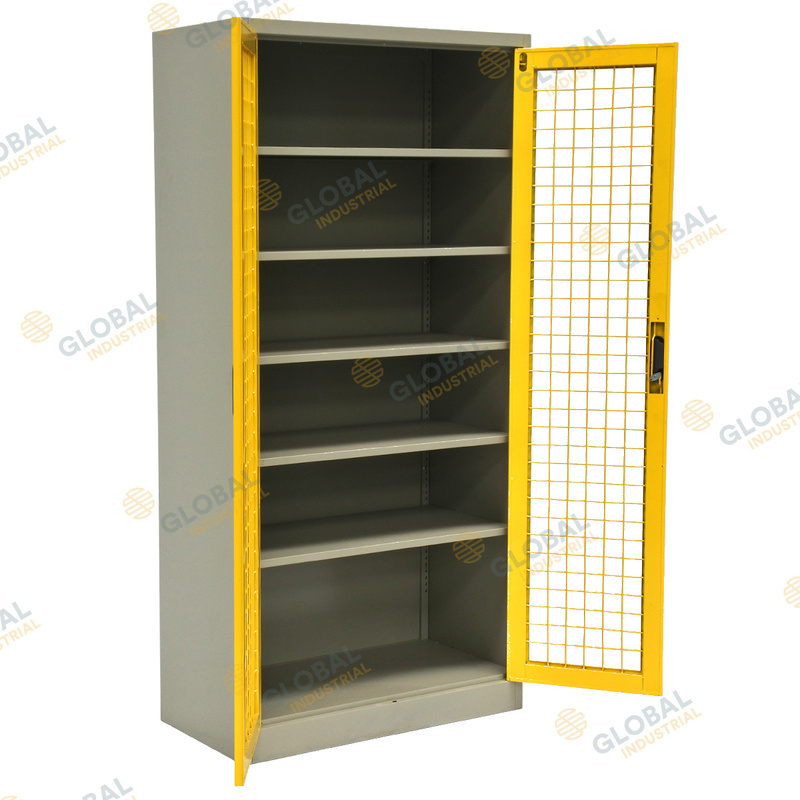 The mesh doors are lockable and are powder coated yellow with the rest of the cabinet is a grey powder coat colour. 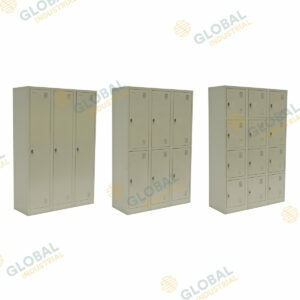 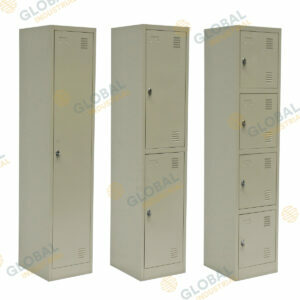 These cabinets are easy to assemble and come in a flat packed form for your transporting convenience.